ABBA GOLD heißt die Show, die die unvergessenen Songs von Agnetha, Anni-Frid, Björn und Benny dem Publikum mittlerweile in mehr als 20 Ländern (inkl. Japan) in einer furiosen Live-Inszenierung näherbringt. Ziel der Produzenten ist es, die wunderbare Popmusik, die hohe Show-Qualität und die Popularität der legendären ABBA-Auftritte in dieser Bühnenshow wieder erlebbar zu machen. ABBA GOLD lässt den Glamour-Pop von ABBA und die Ohrwürmer aus der Glitzerwelt, die unvergesslichen Superhits auf der Konzertbühne wieder aufleben. Aus Respekt vor ABBA und Ihrem einmaligem Lebenswerk soll ABBA GOLD nicht nur ein eindrucksvolles Revival sein. Die Produzenten gehen noch ein Stück weiter und streben eine Darbietung an, die das ABBA feeling mit heutigen technischen und musikalischen Mitteln im „Hier und Jetzt“ präsentiert. Grundlage für ABBA GOLD war das intensive Studium unzähliger Videos, Fotobände und Plattencover sowie des ABBA – Sounds auf der Bühne und im Tonstudio. In der heutigen ABBA GOLD Show werden diese klassischen Inhalte noch erweitert durch die Präsentation einiger Hits von ABBA im Unplugged-Gewand und der Integration einer modernen Video-Show. ABBA GOLD – The ABBA feeling is still alive! 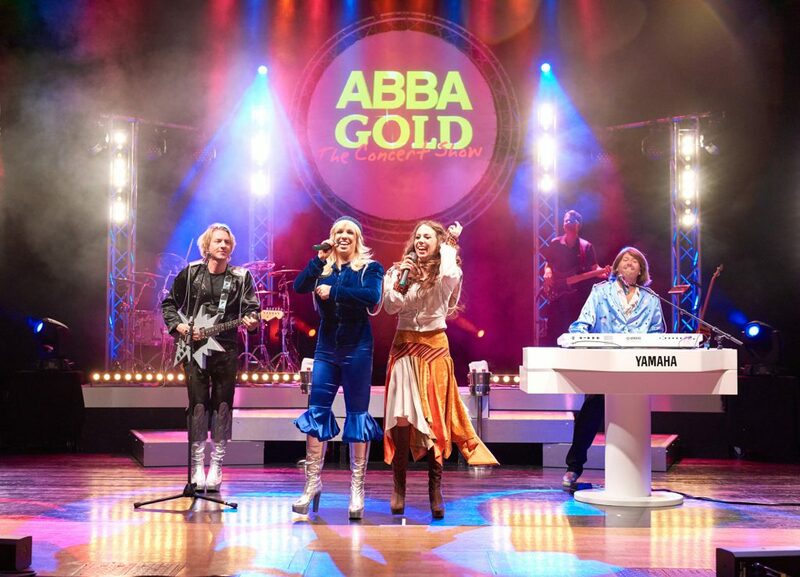 ABBA GOLD is the name of the live spectacular that has brought the unforgettable songs of Agnetha, Anna-Frid, Björn and Benny to the public in more than 20 countries to date (incl. Japan). The producers want the public to experience for itself the wonderful pop music, great quality and popularity in this stage show. ABBA GOLD brings the pop glamour of ABBA, catchy tunes from the glitzy world and unforgettable mega-hits to life again on the concert stage. Out of respect for ABBA and their unique life’s work, ABBA GOLD is not intended to be just an impressive revival. 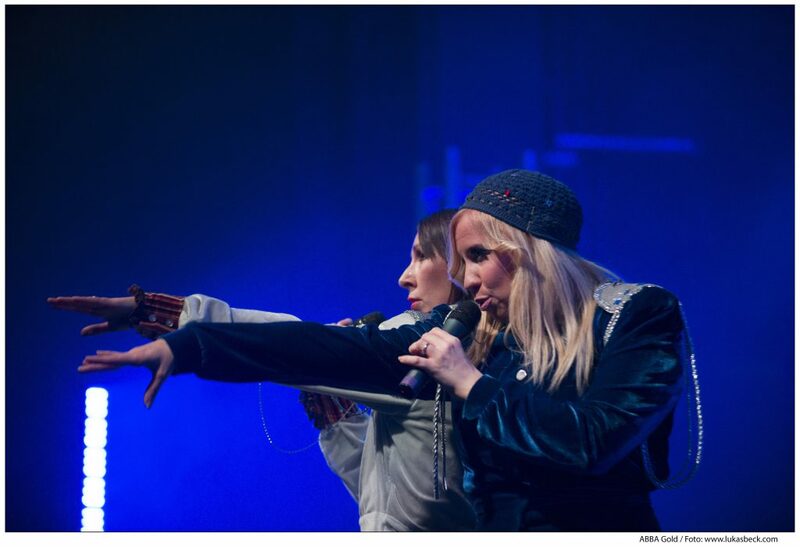 The producers have gone a step further and aspire to a performance that presents the ABBA feeling in the „here and now“ using state-of-the-art technology and musical equipment. Numerous videos, photo albums and record covers as well as the sound of ABBA on stage and in the recording studio have been studied in great detail to form the basis for ABBA GOLD. In the current ABBA GOLD show, these classic elements are enhanced further by some unplugged ABBA hits and an integrated video show. We hope you will thoroughly enjoy the wonderful music of ABBA at our show – ABBA GOLD!! !